Radioscopic tests on complete wheels are called for in design and development, during the production process, and when investigating accidents. 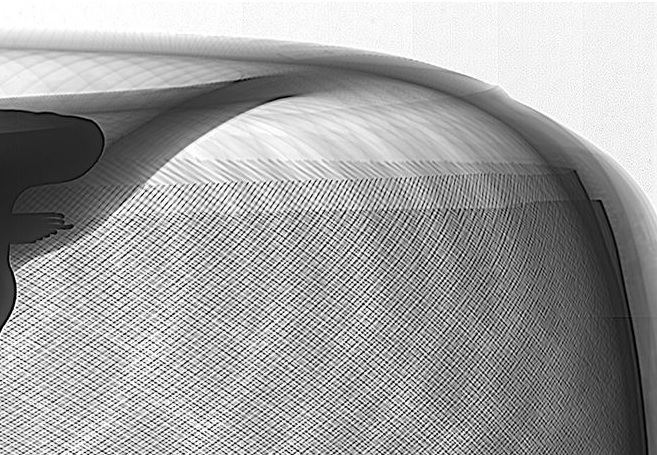 Y.MU2000-D Tire on Wheel was developed precisely for the inspection of these parts. 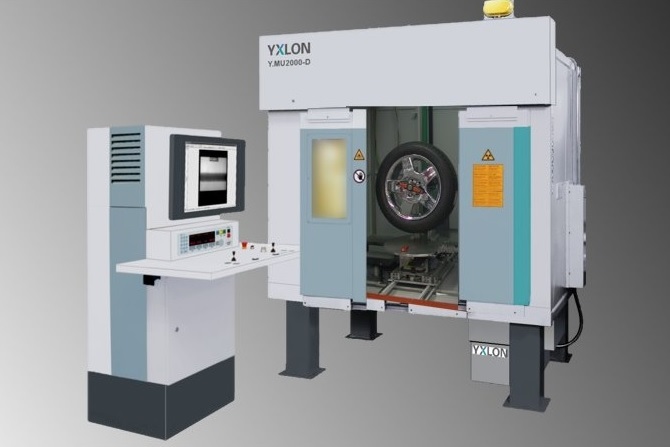 With Y.MU2000-D Tire on Wheel, X-ray inspections can be carried out quickly and simply, whether for tread delamination, incorrect placement of tire subcomponents, or variances for thickness or tread in the case of the inner liner, sidewalls or tire tread. Flaws in bead placement on the wheel are easily detected. The complete wheel is mounted on an axis for X-ray inspection that can rotate automatically, enabling various inspection positions to be reached. Image acquisition occurs using the X-ray technology in Y.MU2000-D featuring optimum resolution and dynamic images. When it comes to tire image processing and digital storage, image enhancement and archiving programs such as Y.IMAGE x500i/i-R can also be integrated easily and efficiently. The tangential X-ray image of the complete wheel illustrates the advantage of using Y.MU2000-D ToW. Tire placement on the wheel is quite visible. The 2 steel belts on the passenger-car tire are clearly identifiable, and their position inside the tire can be determined.